AVALON – The Catalina Island Museum’s second annual Holiday Symphony Concert will welcome the Stanford Symphony Orchestra back to the stage of the Avalon Casino Theatre on Friday, Dec.12. The Holiday Symphony Concert is free for members of the museum and all children 17 years of age and younger. This year’s program will showcase compositions by Wolfgang Amadeus Mozart. 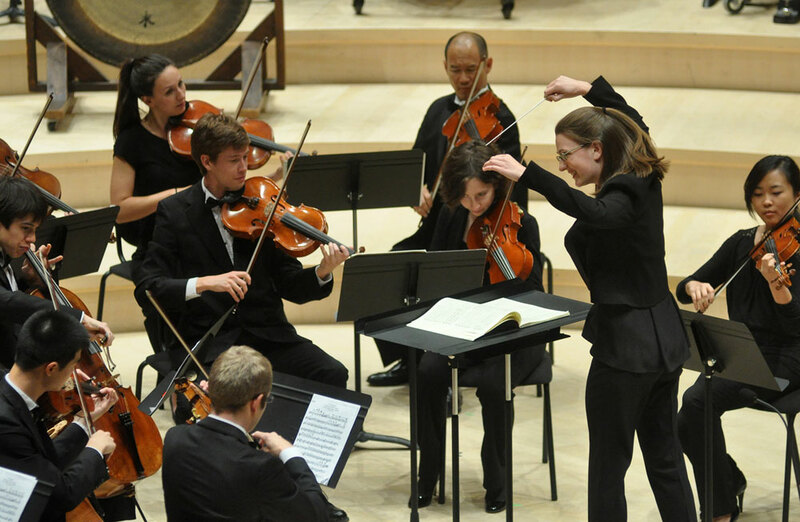 Anna Wittstruck will return to conduct an ensemble of the prestigious Stanford Symphony Orchestra and a special guest from the San Francisco Symphony, violin soloist Chen Zhao. Due to its remote location, access to arts education on Catalina Island is limited. The museum’s annual Holiday Symphony Concert not only offers classical music to the Avalon community, it also presents a unique opportunity for Avalon’s youth. Partnering with Avalon Public Schools, the museum has organized a presentation in which members of the Stanford Symphony Orchestra will introduce their musical instruments, share their personal experiences and explain the role of each instrument in creating the synergy of a distinctive sound in a symphony orchestra. The second annual Catalina Island Museum Holiday Symphony Concert is scheduled for 7 p.m., Friday, Dec. 12 in the Avalon Casino Theatre. Tickets are free for members of the museum and all children 17 years of age and younger. The general public may purchase tickets for $5. Tickets are required for entry. For more information and to request or purchase tickets, call (310) 510-2414, or visit CatalinaMuseum.org.